Please take a moment to review and complete these forms prior to coming into the office. Thank you! Welcome to our Patient Center. We are extremely excited and proud of you for taking these next steps towards optimal health and wellness. Please fill out the Patient Intake form below on either your desktop computer or iPad, please do not use your iPhone or smart phone. Once you finish, please sign and press submit, this will push your your application for care to our server. You will come in and sit with the doctors for a short consultation. Here is where you can inform the doctors of any of your healthcare concerns. After your consultation, the doctors will do a detailed evaluation which includes digital postural evaluation, digital postural X-Ray and a report of findings. This will give the doctors a better understanding to the true cause to your health care concerns. After the consultation and spinal evaluation, you will receive your first adjustment to begin the healing process. This first visit typically lasts about 30-45 minutes in total. We look forward to meeting you and can’t wait to take your health and performance to the next level! 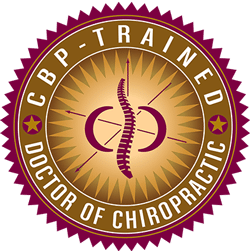 CBP Chiropractic is a technique that helps corrects posture. This approach is used to improve patient well-being and looks at the body as if it is a machine. This art of this technique involves stretching of the spine. Our goal using this method is to relieve back pain and/or leg pain. Chiropractic Neurology focuses on treating the brain with “afferent (incoming) stimulation”, which conveys information to targeted areas. We help our clients relieve pain, reduce stress, and work on a specific problem to enhance a person’s health and well-being. Do You Qualify for Corrective Care?